A correctional nurse once described a time when the warden of the facility told her to give an injection of Haldol to an inmate in segregation who had been screaming obscenities for several days. The correctional officers had been unable to quiet the inmate and his behavior had escalated out of control. The nurse told the warden that she was unable to give the injection because there was no medical order to do so. The warden looked her in the eye for a few seconds and calmly said, “If I give you a direct order and you don’t comply you will be considered insubordinate.” The nurse ultimately survived this confrontation because she was knowledgeable of and supported by the Corrections Nursing: Scope and Standards of Practice published by the American Nurses Association (ANA). The areas covered by the standards are listed below. The text Corrections Nursing: Scope & Standards of Practice describes each standard and lists the criteria to measure conformance to the standard. Corrections nursing: Scope& standards of practice. (2007). Silver Spring, MD: American Nurses Association. The ANA is currently revising the 2007 edition of Corrections Nursing: Scope & Standards of Practice. 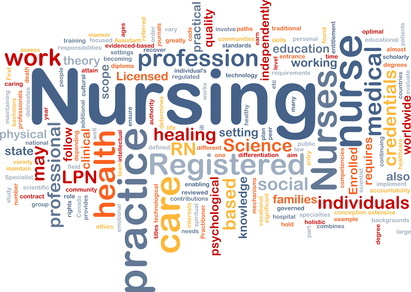 The description of the scope of practice of correctional nurses has been updated and the definition of correctional nursing revised. Revision of the standards includes an emphasis on nurses’ responsibility for communication and a new standard concerning environmental health. Nurses are encouraged to review and comment on the proposed draft of the Correctional Nursing: Scope & Standards of Practice. In September or October the draft will be posted for 45 days on the ANA website (www.nursingworld.org) for public comment. Comments will be used to further revise the standards and then the draft will be forwarded to the ANA Standards and Guidelines Committee for review. The document is expected to be in final form and published about a year from now. When the draft of the 2007 edition came out for review there was a lot of public comment. This input was reflected in the final version and as a result it has been a strong and utilitarian guide for correctional nurses since then. I hope you will let your voice be heard during the review of the next edition. What do you see as the features of correctional nursing that distinguish it as a specialty area of practice? Let us hear from you using the comments section of this post. This entry was posted in Uncategorized and tagged American Nurses Association, ANA, Catherine Knox, correctional nursing, Essentials of Correctional Nursing, jail nurse, Lorry Schoenly, prison nurse, Standards of Practice. Bookmark the permalink. ← The Certification Journey: Where Do We Start?